This performance was performed at The Kitchen after its premiere at the List Visual Art Center in Boston, where Whitman was an artist in residence from January to April 1990. 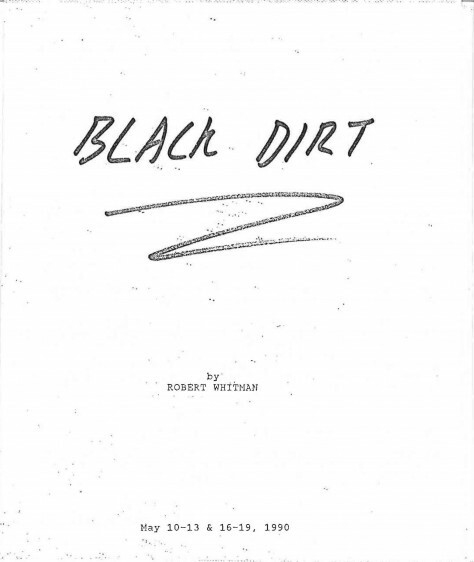 Black Dirt involves a big tent-like structure, film projections, props, sound effects, and text. This work is an example of Whitman's practice that focuses on a type of performance that reconstructs time and space through psychologically charged images.